We’d love your help. Let us know what’s wrong with this preview of Gas Money by Troy Lewis. To ask other readers questions about Gas Money, please sign up. I found this memoir thought provoking and an intriguing glimpse back into the history of the 1960s. The author came across as likeable and relatable. I enjoyed the positive tone of the narrative, even as the author was telling not so happy tales. I received this book for free through Goodreads Giveaways. Thank you. This is the memoir of Troy Lewis growing up in the 1960's in Virginia to a very young Mother and Father. He starts off as a six year old black boy in the South and continues (the story) into his fifties. His life at times was not easy, he faces many obstacles throughout his life. We get to meet his family through his short stories and lovely photos. 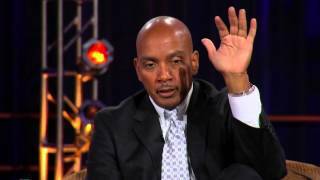 He tells how he did a lot of soul searching, and the lessons he learned down his road of life. I loved Mr. Lewis' writing style, he tells his story as the memories come. Not necessarily in chronological order. I liked this a lot. Is shows originality, which is one thing I loved about this story. The photos were lovely and gave me the feel as if I were part of his family. There were so many emotions flowing off every page; happiness, sadness, laughter and love. Overall I found Gas Money and enjoyable, heart-felt read. I hope read to read more from Troy Lewis. I highly recommend to all. This is a memoire set out as a series of short stories, as though the author were telling you tales from his life, not in chronological order, just as they occur to him as though in casual conversation. The oldest child of a child bride who was responsible far before her time he speaks about the people you meet in life who give you "gas money", i.e. hints about how to get on in life, how you should react, or just a push in the right direction. Funny by spells and touching by spells. I received this book for free through Goodreads Giveaways. It is autographed. Troy Lewis is the author of the book Gas Money. Troy and his book, Gas Money, have been featured on C-SPAN Book TV, Steve Adubato's One-on-One PBS TV program, radio, various newspapers and a review in The Huffington Post. 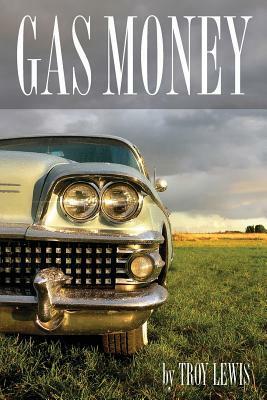 In addition, Gas Money has received a positive review and coverage in Publishers Weekly. Gas Money garners 5-Star Troy Lewis is the author of the book Gas Money. Gas Money garners 5-Stars from Readers on Amazon.com. Click on this link to see what they're saying. Since the launch of his Gas Money book, Troy has had numerous public appearances and speaking engagements. He is a dynamic speaker who shares his inspirational stories with schools, libraries, fund-raisers and book clubs.